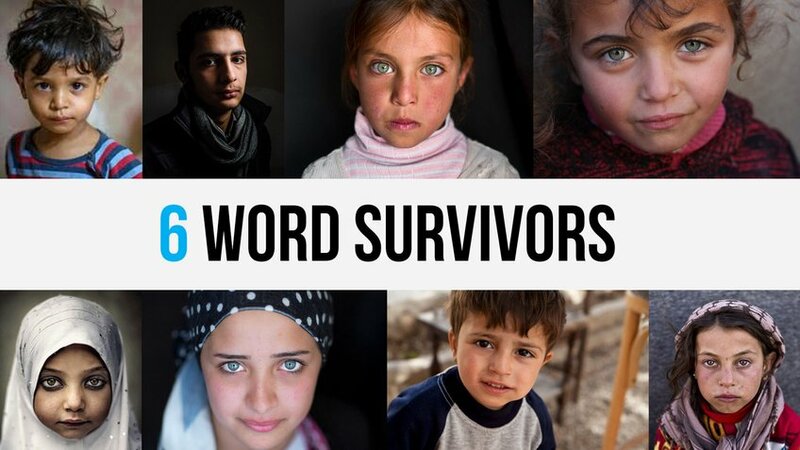 To avoid the upsetting emotions that accompany the reality of the Syrian Civil War, many people have chosen to mentally distance themselves from the situation. 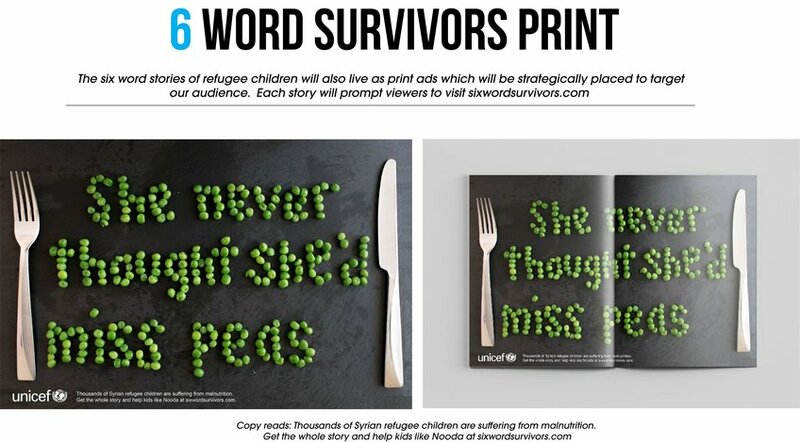 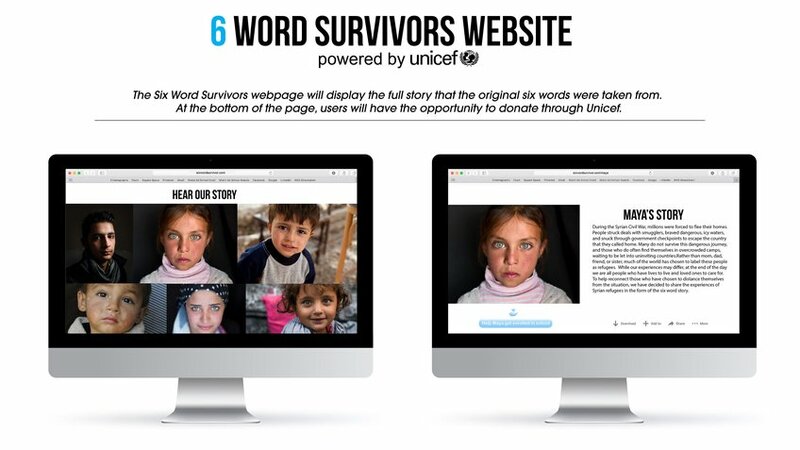 We decided to share the experiences of refugee children in the form of the six word story in order to force viewers to identify with, and humanize refugees. 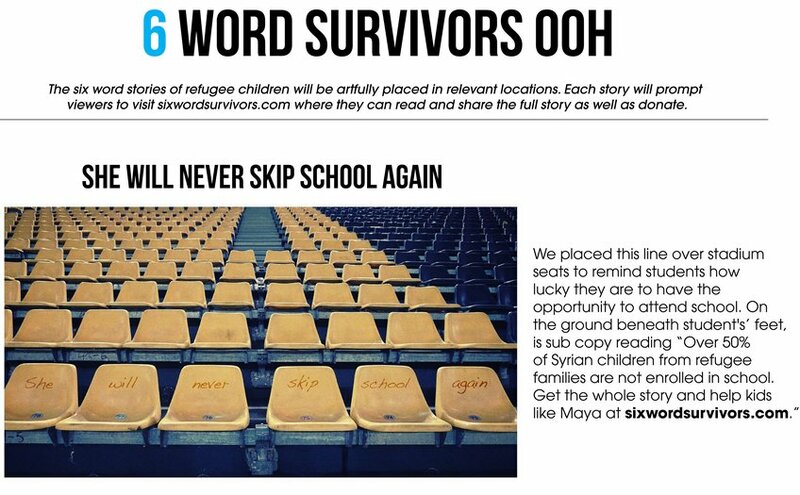 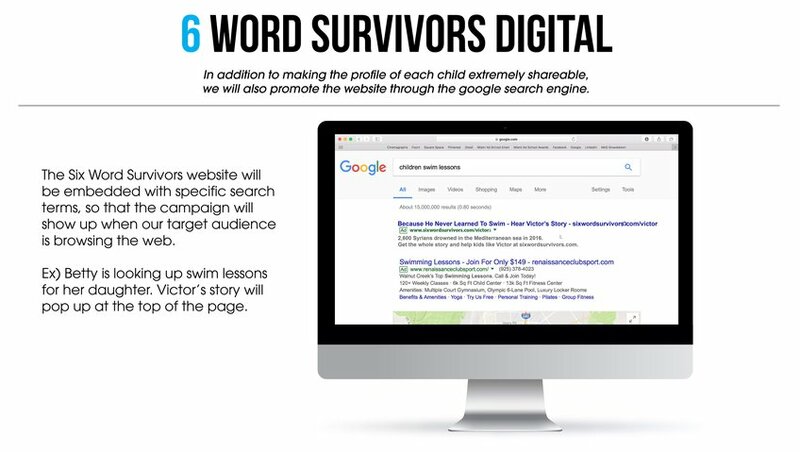 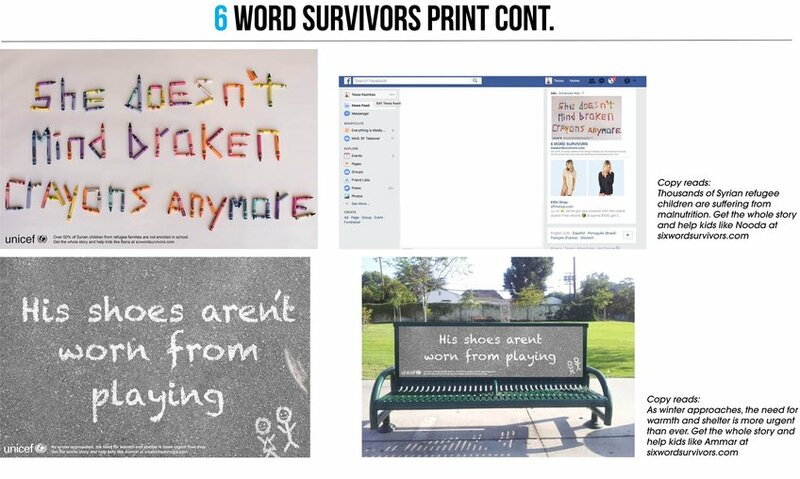 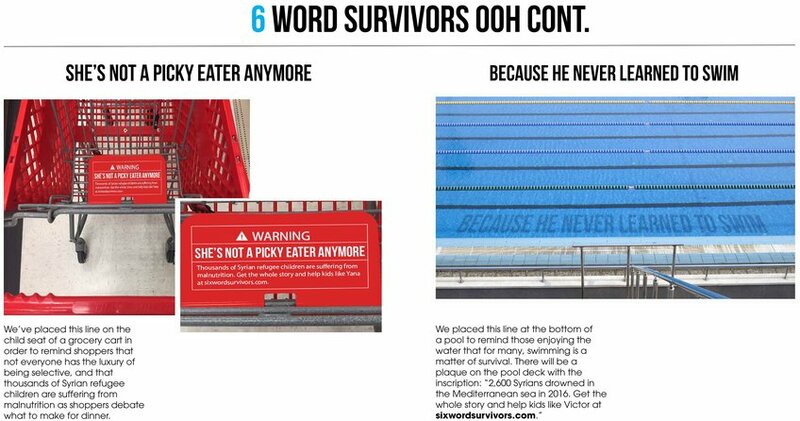 Each six word story will be placed in a location that is relevant to that particular story, and includes sub copy directing viewers to sixwordsurvivors.com where they can read the full story, and donate through Unicef.